In my sample, I added 2 extra stitches, worked in garter stitch, to separate my mock cable panels. You do not have to do this - you can just repeat the mock cable pattern as many times as you like without something separating the panels. Play around with the spacing, making them closer or further apart. 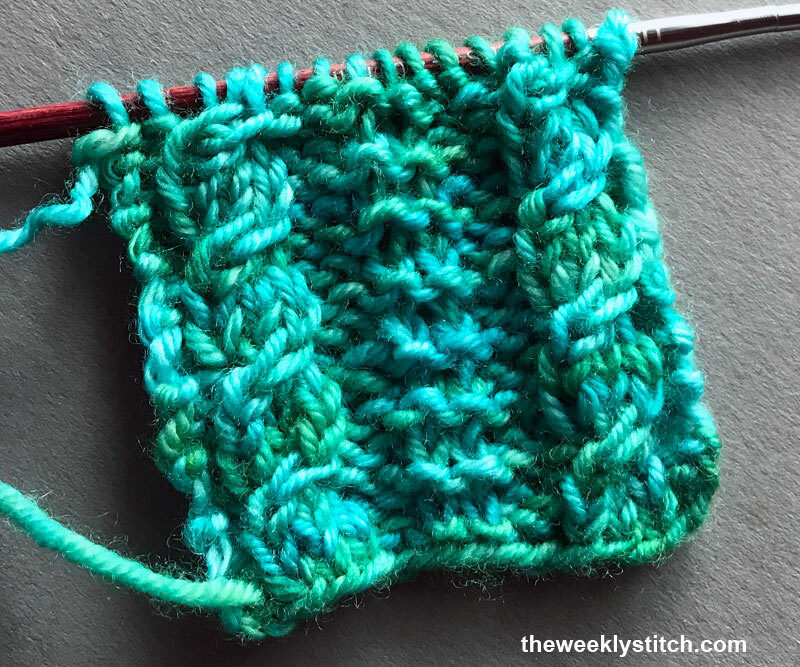 If you want a different stitch separating your panels, and don't like garter stitch, try a true cable or simple mesh stitch. Is there a way to do this so the cable is left slanting in addition to this right slanting method? To create left slanting mock cable: p2, K tbl 3rd St, then K tbl 2nd St, then K tbl 1st St (drop all three Sts), p2.